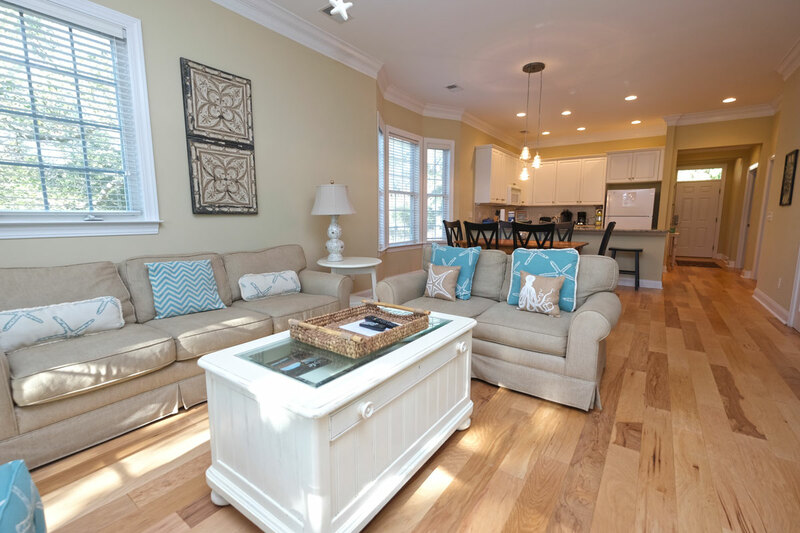 Discover your next beach getaway when you reserve Marsh Hawk 5B at the Litchfield Beach & Golf Resort. This 3 bedroom, 2 full bathroom villa features charming interiors with granite countertops in the kitchen and wooden floors throughout. With 1 King bed, 1 Queen, and 2 twins, Marsh Hawk 5B comfortably accommodates up to 6 guests, making it perfect for small to medium-sized groups. You'll love the convenience of having a fully-furnished kitchen during your stay, with essentials like major appliances, cookware, and flatware at your disposal. You can also attend to all of your laundry needs with your own in-unit washer and dryer. Enjoy the calming serenity of the marsh from the private balcony, where you can take in the sights and sounds of the Hammock Coast. When you're ready to spend time on the shore, enjoy private beach access, just steps from your villa. 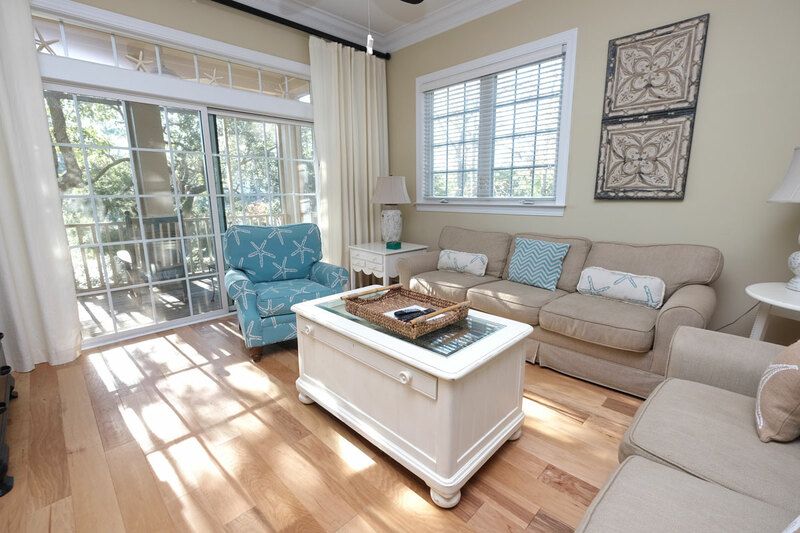 Beautifully decorated and perfectly located, get the experience of an idyllic beach escape when you reserve Marsh Hawk 5B at Litchfield Beach & Golf Resort.